This SSL Certificate is a High-Grade 128/256 Bit Encryption Single Root Certificate. GeoTrust® High-Grade SSL Encryption is already present in the IE 5.01+, Netscape 4.7+ and Mozilla 1+ browsers and many other new Windows and Macintosh based browsers. Our pricing structure for GeoTrust® High-Grade SSL Certificates SSL Encryption is well below the recommended retail price. Buy for 5 years and the cost of GeoTrust® High-Grade SSL Encryption Certificate works out to be excellent value at only $47.52 per year. GeoTrust® High-Grade SSL Encryption certificates have a browser recognition of 99.9% and are ideal for web sites requiring a trusted SSL Certificate solution. 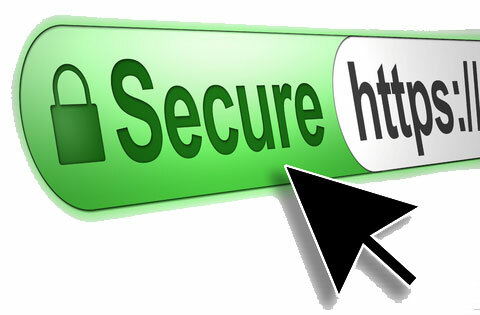 Simply call us at 1-877-900-7077 and one of our SSL certificates specialist will personally assist you with your order. The issuer statement of your GeoTrust® High-Grade SSL Encryption Certificate will show "Equifax Secure Certificate Authority". The issuer is trusted by 99.9% of web browsers, ensuring your GeoTrust® High-Grade SSL Encryption SSL Certificate will be free from pop-ups or SSL Certificate errors. GeoTrust® High-Grade SSL Encryption SSL Certificate is compatible with 99.9% of client platforms and browsers. This is not an exhaustive list, if your platform or browser is not listed please Contact Us for further assistance. Cobalt RaQ3+ "Main Site" / Cobalt RaQ3+ "Virtual Site"